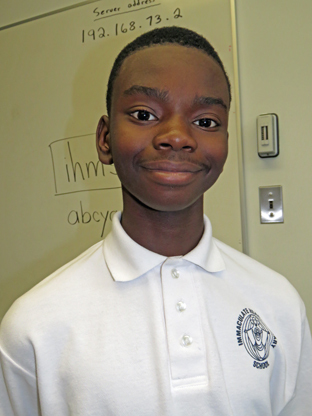 The first few weeks of the school year are always hectic with students busily adapting to a new grade and new teachers. It’s during this time that the grade 7 and 8 students of IHMS hold their annual elections to select a new student council president and vice-president. Junior high students interested in a position of either president or vice-president must first of all be nominated by their peers. Once nominated, they can begin their campaign. 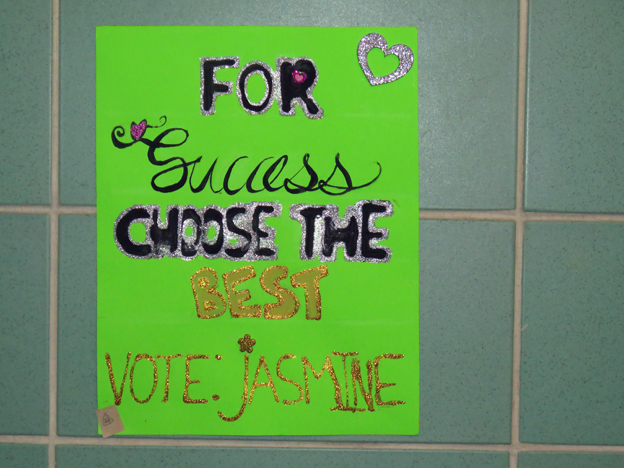 Campaigning typically begins and ends during the second week of school. This year’s campaigning ran a few extra days, and ballots were cast the following week on Tuesday, September 19th. 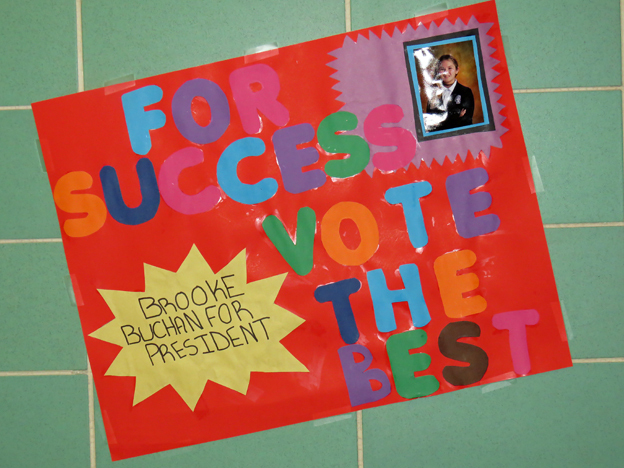 Other than a short speech by the grade 8 students running for president, campaigning consists mainly of putting up election posters in the upstairs hallway. There were fewer posters throughout the upstairs hallway this year compared to previous years. In fact, some of the candidates didn’t use election posters at all. 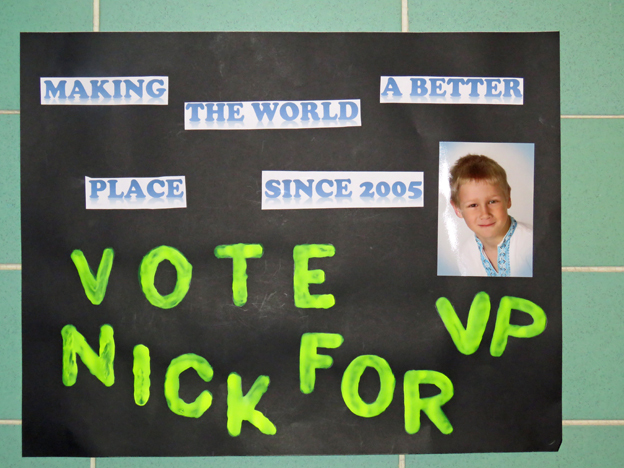 However, a few candidates spent a lot of time and effort making interesting and creative posters. Four or five other representatives (mostly selected from the grade 8 class and nominated by their peers). 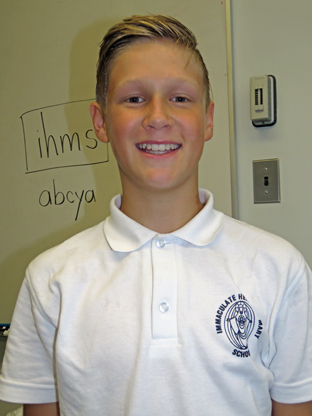 The duties of the student council are to plan Spirit Days (along with the grade 8 teacher, Mr. Burg), to help out at special events, to represent the students at special functions, and to help with various fund-raising activities. On the day of the election, the 4 candidates for president gave a short speech about what they plan to do if elected president. This is a test of each candidate’s ability to give a speech – they really don’t have the power to make changes of any kind as president. However, they can make suggestions that can lead to change. The speeches took place in the grade 8 classroom in front of the rest of the junior-high students. The ability to deliver a speech is an important part of the selection process because the candidate who is elected president is obligated to give several speeches throughout the year at various special functions (such as the grade 8 graduation dinner).